During a recent trip, I was very fortunate to try a plethora of once-in-a lifetime drams from the oldest distillery on Islay: Bowmore. Outside of the big-name investment whiskies such as the Black Bowmore trilogy and the more recent £100,000 1957 bottling, Bowmore is responsible for some of the most legendary drams to come from the island of Islay. What I enjoyed most (other than the 1955 40 Year Old, which I will come to later) was getting to grips with the incredible circular journey the spirit has been on from the distillates of the 1950s to the present day. I already had a love for Bowmore, it being the whisky that I purchased with my first pay cheque from working with whisky and having got engaged in the famous No.1 Vaults back in 2012. However, after my most recent visit, I felt the need to learn more about this truly special distillery. 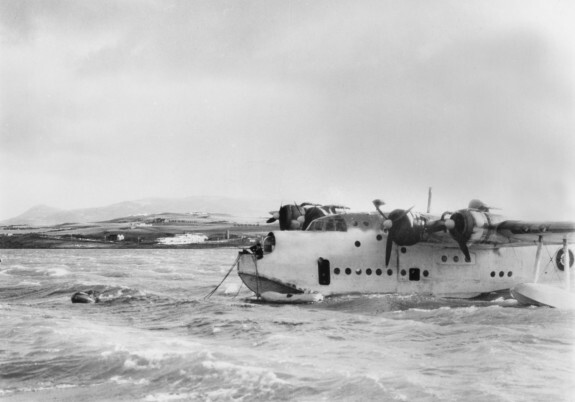 Bowmore Distillery was founded in 1779 by David Simpson and changed ownership four times before 1963 when it was sold to Stanley P Morrison, a renowned whisky broker who established the company Morrison Bowmore Distillers. From the point of view, of the whiskies currently available for people to try, this was by far the most decisive period in the distillery’s history. The Morrisons owned Bowmore until 1994, when Suntory (a shareholder since 1989) purchased the distillery. 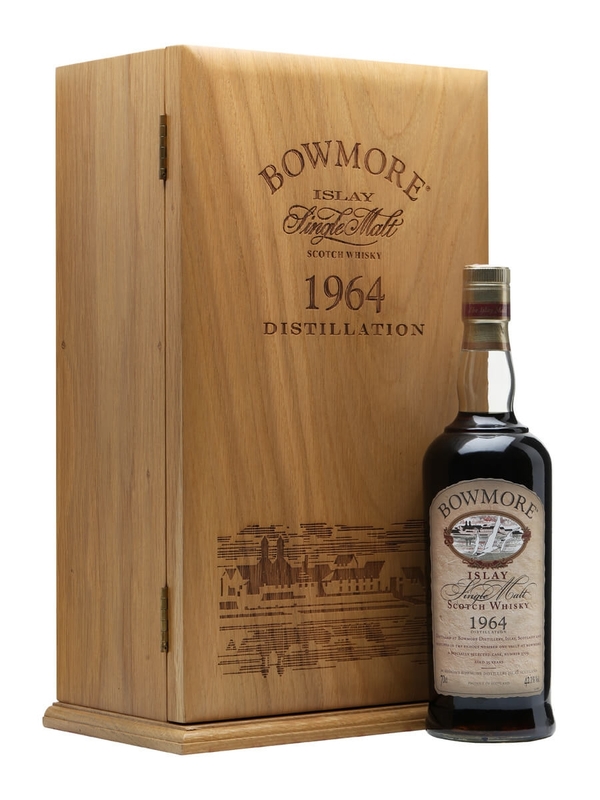 To date, the earliest whisky I have had the pleasure of tasting from Bowmore was distilled in 1955. 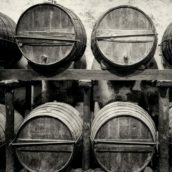 I am not aware of anything bottled that was distilled pre-1950, although if you are and have tasted it please do let me know, as I would love to have an understanding of the spirit before this period. 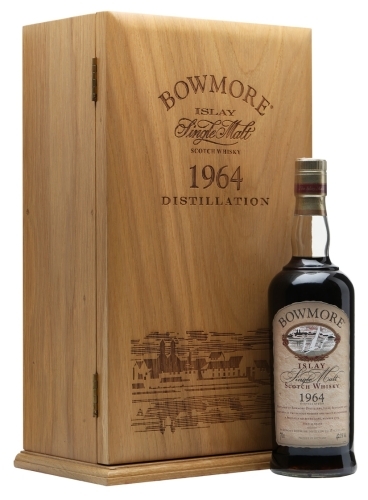 A brief look through whiskyfun.com and other reputable whisky blogs will tell you that the Bowmore distillates from the 1950s and 1960s are rated as among the best whisky ever produced in the world. They are characterised by a blend of subtle smoke and tropical fruit. It is the incredible integration of flavours that makes these whiskies so sought-after and unlike anything else you will ever try. Unlike many modern-day collectible whiskies, with their expensive packaging and elaborate stories, the increase in price of these whiskies has been largely driven by traditional whisky drinkers and their obsession with being able to try them again and again. This created a perfect storm where more people are introduced to and want them, more bottles are drunk and supply is reduced. I will state categorically that this is not investment advice; this is drinking advice. If you get the chance to try some 1950s’ or 1960s’ Bowmore, sell your left arm or whatever the man behind the counter is after, and indulge. Nose: Ripe fleshy mangos and thick-cut citrus fruit, grapefruit and blood orange. The smoke reminds me of seaside bonfires with the sea air lightening the richer wood-smoke notes. 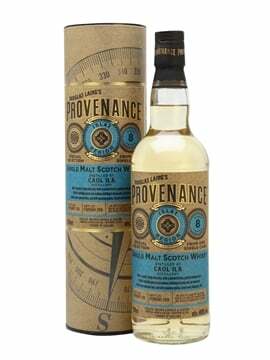 A nod to the age is evident with some red fruit and menthol notes from the cask, while the signature blend of peat-fire and tropical fruit makes this impossible to want to finish. Even after all the whisky has been drunk I was still clinging to the glass for the smell. Palate: A tropical fruit salad in ginger wine and mint, with the weight of liquid giving a full and lush sensation. There is mango and guava set off by a rich savoury saltiness and given body with wonderfully aromatic smoke. Freshness seems to come out with time with mint leaves and freshly cut tarragon creating more length and depth. Finish: The finish stays with you, with the coastal notes and darker fruit becoming pronounced. Comment: It has been two weeks since I tasted this and I swear I can still taste it now (or at least the memory of it is incredibly acute). After the Morrisons took over the distillery, it went through a process of expansion and redevelopment including changing the washbacks from wood to steel. The start of this period seems to have been a golden age for the distillate, with many of the most famous whiskies being produced, including the Black Bowmore trilogies, the 1964 Bicentenary and the 1968 25 Year Old. Nose: The nose is dense and warm with cigar tobacco, dark chocolate drops, like the ones used in baking, and dried mango and apricot. There is just the faintest whiff of smoke, like the steam off the top of an espresso shot. Behind all the darker sherry notes the tropical fruit is delicate and clean adding a layer of complexity. Palate: Although the flavours are heady, the texture is light. It almost floats off your tongue while the dark chocolate, maraschino cherry and freshly brewed Arabica coffee ebb and flow. With time, moving the liquid around the palate, there is fresh tropical fruit notes of watermelon and sweet orange complementing the cocoa. The balance of flavours is impeccable and is one of the best examples of sherry, fruit and smoke working together. Finish: The fruit and tobacco seem to last forever. 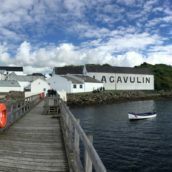 Comment: I was fortunate enough to taste this whisky twice – once on Islay and once in the office at the end of the day. I was still experiencing the finish of this whisky at the end of my 35-minute journey home. This is probably the best sherry-matured whisky I have had the pleasure of tasting. In 1971, Stanley Morrison died, leaving the company in the hands of his sons, Tim and Brian. 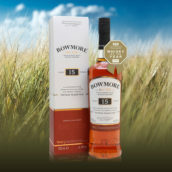 As well as building on the bulk business of the distillery, and acquiring a second distillery in Glen Garioch, they set about creating Bowmore as a brand, releasing single malts under their own label. 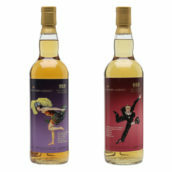 The spirit from this decade also largely kept up with the standard from the 1960s, particularly in the earlier vintages, many of which are considered to be among the best releases. You can still get a relative bargain by looking at some of the 12 Year Old brown-glass dumpy bottles released in the 1980s as they would have been distilled during this period. 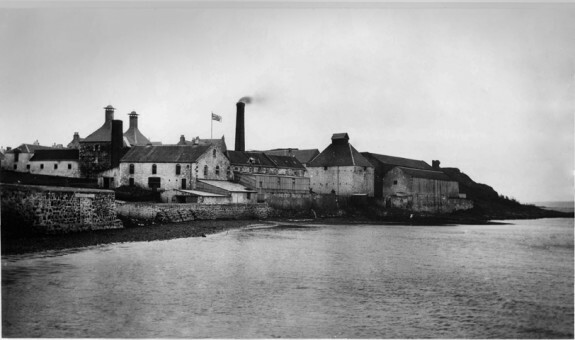 In part 2, Ollie looks at the history of Bowmore from the 1980s up to the present day. 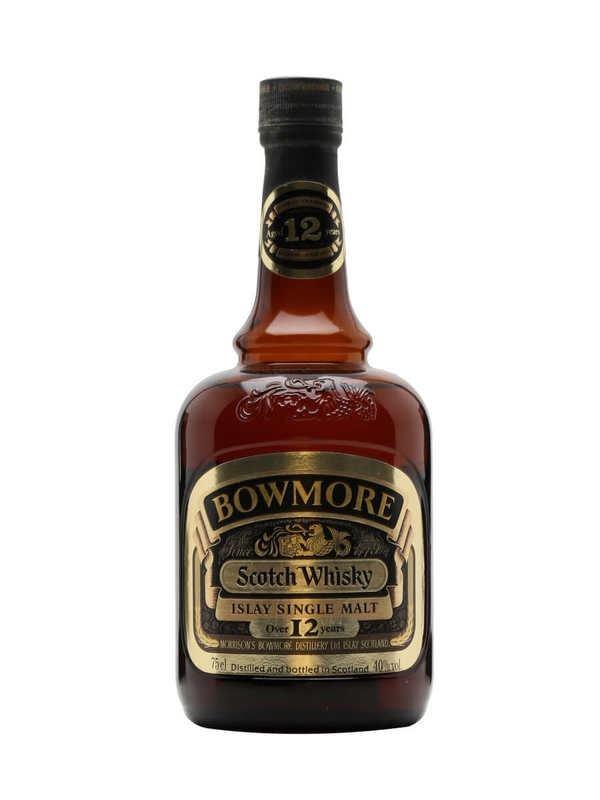 A old dumpy bottle of 12-year-old Bowmore. This dates, we estimate, from the 1980s and carries the label for Morrison's Bowmore, before they were taken over by Suntory in 1989. 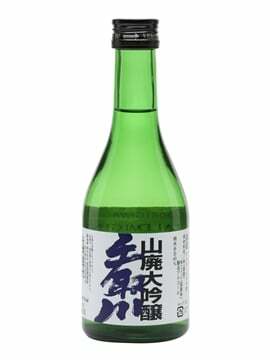 Please note this bottle has a low fill level, as shown in the photograph. 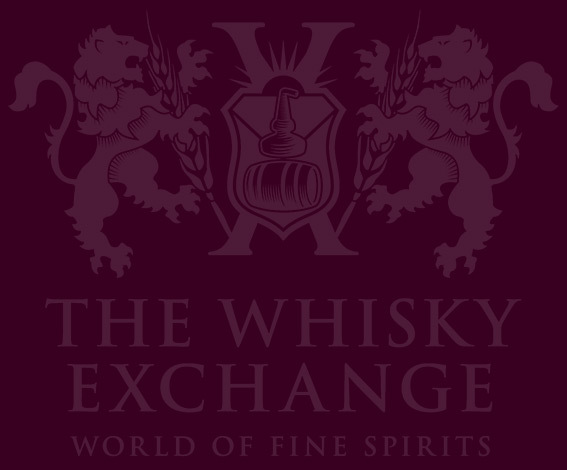 It takes both an exceptional spirit and an exceptional cask to live in harmony for over three and a half decades. 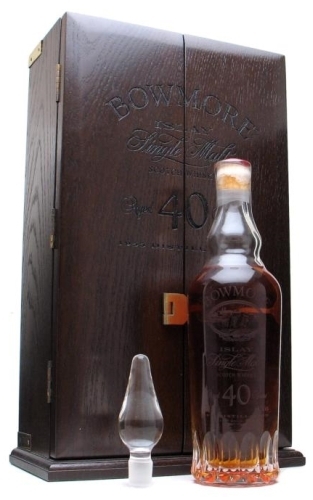 Bottled in a beautiful crystal decanter, this gorgeous fruity Bowmore has been declared by more than one of our customers to be the best that they have ever tasted. 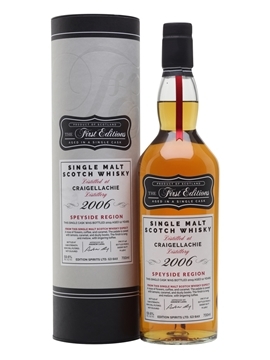 After such a long period of ageing, the malt has taken on a very elegant character and shows restrained peat combined with ethereal layers of exotic fruit. A serious, subtle malt that demands the drinker's time and full attention.